Why Am I Not Ranking in The Local Maps? Hey, everyone, Adam Steele here with some more local search questions and answers. Today, I have a really important one, a question that I get all the time, one that I got today. I was looking at a fellow’s citations, and he couldn’t figure out why he wasn’t ranking better in local maps. He had tons of citations, but he did have some inconsistency, inconsistency, that is, in the NAP. But everything else looked really good. And so he was wondering like, “What else can I do? Can I buy a whole bunch more of citations? Is that what I’m missing? Do my competitors have more citations than me, or is it this inconsistency? Is that holding me back?” And so I asked him for a couple keywords. 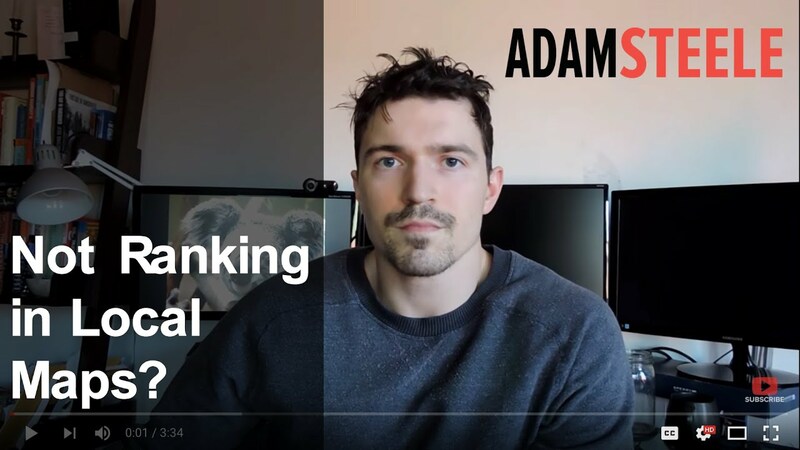 We ran a couple keywords through Google, and what I ended up finding, and this is usually one of the first things I do before I even run an Ahrefs report or something like that – Ahrefs being a backlink checker, now a much bigger tool. But I will run his keywords, and what I found is that he didn’t rank organically. In fact, he wasn’t on page one, he wasn’t on page two, he wasn’t on page three. I didn’t find him at all. So what I told him is to have a look at who is ranking in the top three snap pack. And what we found, and what I find just about every time, is that the folks that are in the snap pack are the folks that are on first page organically, so in the non-map listings. And so once I showed him this and explained that to him, he realized, “Okay, well, it’s not citations that I need. What I need is more backlinks. I need more links to my website to help build my organic presence to bring my organic ranking up to at least the first page.” This wasn’t sort of a case where it was super clear-cut. In fact, I kinda disproved my theory a little bit. Usually, what I see is the first person in maps is the first person in organic, the second person in maps is the second person in organic, more or less. In this case, it wasn’t quite that way, and I think that had a lot to do with the fact it wasn’t a big city, it wasn’t a very competitive niche, and so we didn’t see that kind of thing this time. But just as a general rule of thumb, I’d really recommend having a look at your organic rankings. 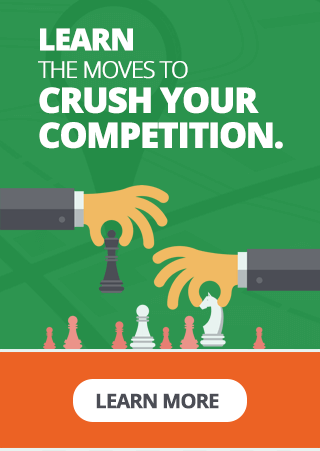 If you aren’t on page one for your organic rankings, that’s probably what’s holding you back. Not all the time, but generally speaking, as far as what I see day-to-day, that’s probably what’s holding you back in maps. So have a look and let me know. I’d be curious. I’ve always wanted to do a little bit of research on this, do a little bit of digging and see if indeed this is true. I think a lot of people would agree, and that’s probably why I haven’t done it yet, because I just kinda inherently know it. But if you see something different, I do want to know, and I hope that you will leave me a message in the comments section or wherever you are able to get a hold of me. Thank you very much for your attention. I do appreciate it, and if you are interested in getting more videos like this, more quick shorts about local search or SEO in general and sometimes marketing, please subscribe. I would really, really appreciate it. Thanks, everyone. Have a great day.